Beautiful Nollywood actress, Oge Okoye decided to show off what doesn’t belong to her and got caught while she was at it. It didn’t take long before someone called her out for stealing the photos of real housewives of Atlanta star, Kenya Moore. 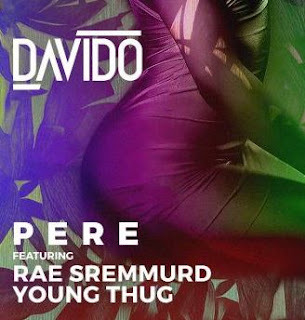 The person juxtaposed Kenya Moore’s original post alongside Oge Okoye’s. The actress has since deleted the post. 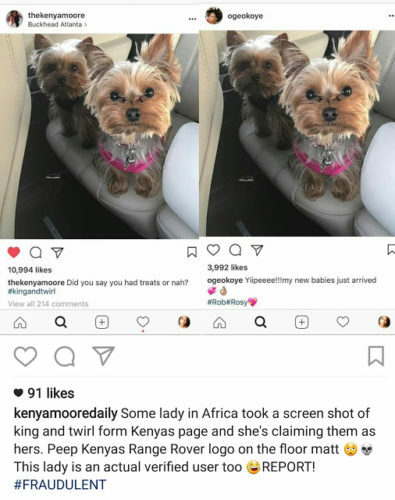 0 Response to "Actress Oge Okoye Disgraced For Stealing Kenya Moore’s Dog Photos & Calling It Hers"